The Bartlett School of Architecture and Middlesex University are hosting the second Art on the Streets symposium, Art as Intervention, at the Institute of Contemporary Art on 21 March. 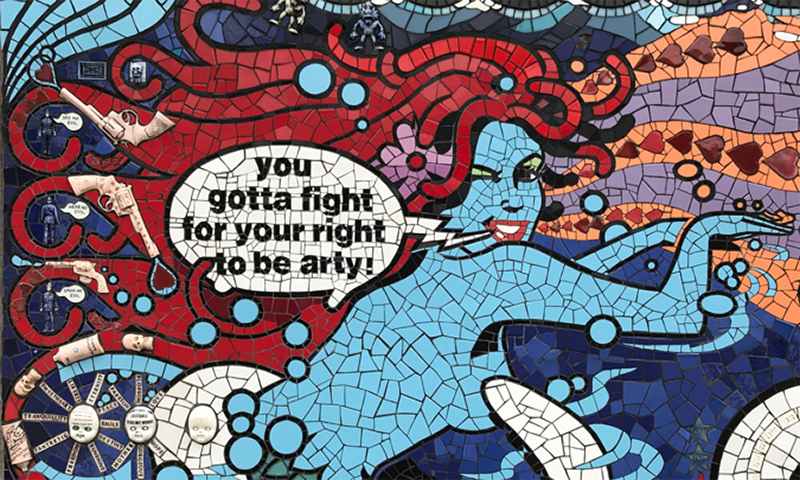 Art on the Streets II: Art as Intervention will explore whether street art has retained its once radical role in society. Organised by Bartlett Teaching Fellow Sabina Andron and Susan Hansen, Head of the Visual and Creative Methods Group at Middlesex University, the symposium will be held at the Institute of Contemporary Arts (ICA). The symposium features the latest work and thinking of 15 renowned artists, curators and researchers working on street art, graffiti and urban contemporary art and focuses on urban art as a critical form of intervention for addressing social issues and raises the concern that street art is becoming increasingly corporate and commodified. Speakers include Carrie Reichardt (artist), Marcus Willcocks (UAL), Rafael Schacter (UCL) and Professor Alison Young (University of Melbourne). The speakers will discuss topics such as the relationship between art and law, the balance between private and public, the role of images in 'non-spaces' such as walls and bridges, and art as rehabilitation. The symposium is open to the public but booking is required.